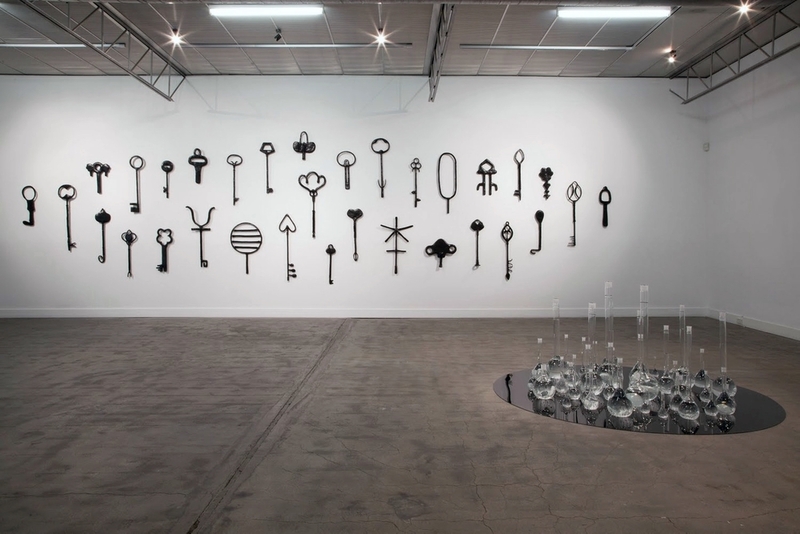 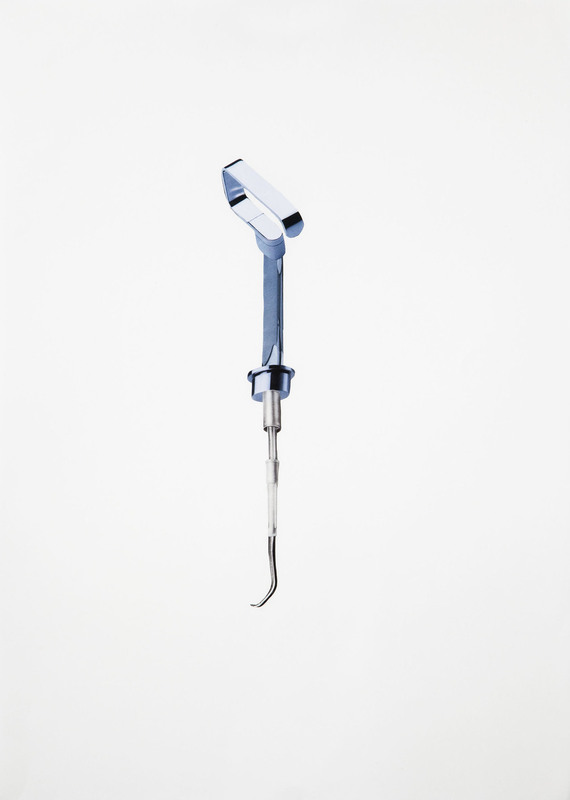 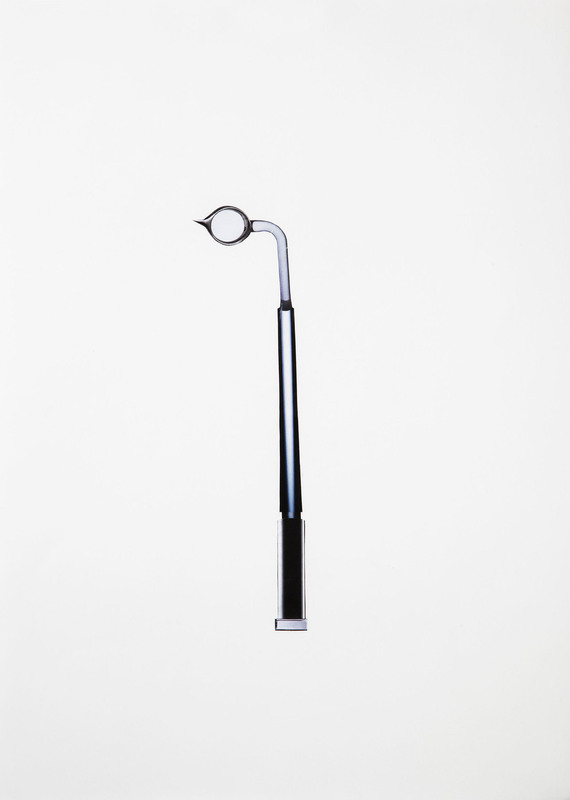 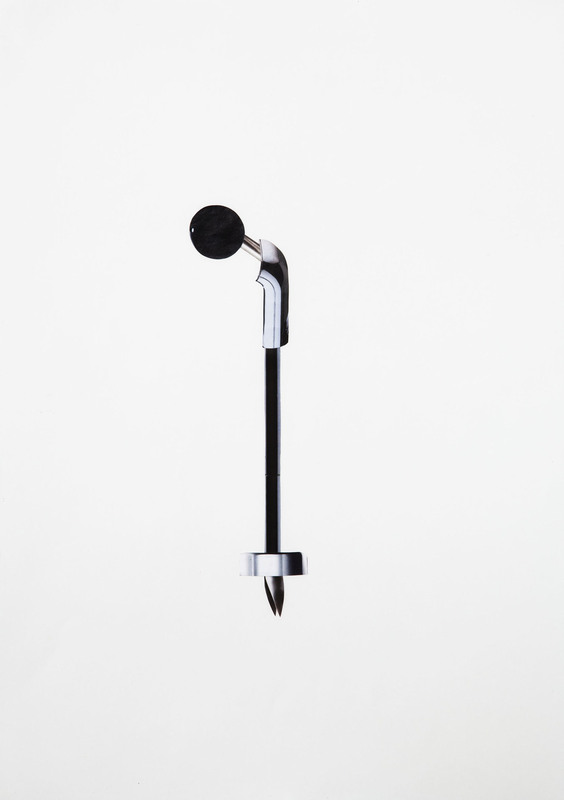 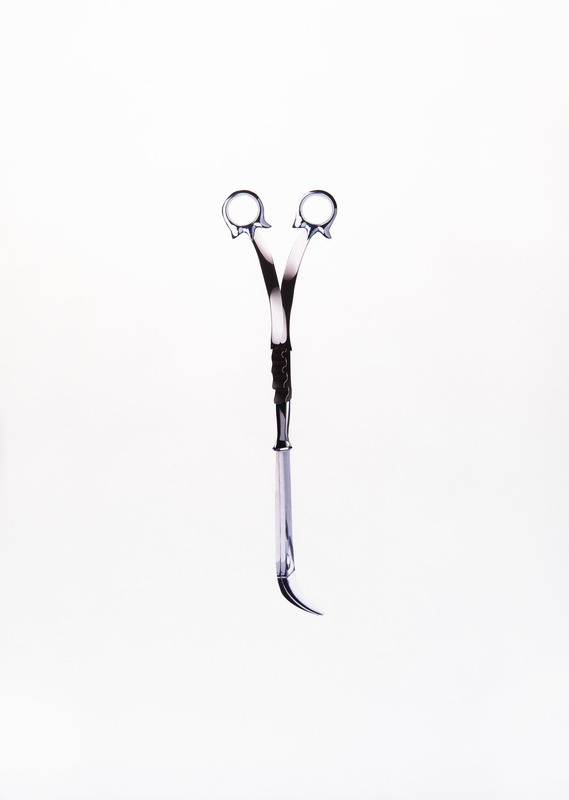 The installation Inward Gathering comprises three different groupings of objects – a set of large black keys, scientific glass vessels, and a black and white collages of fictional surgical tools. 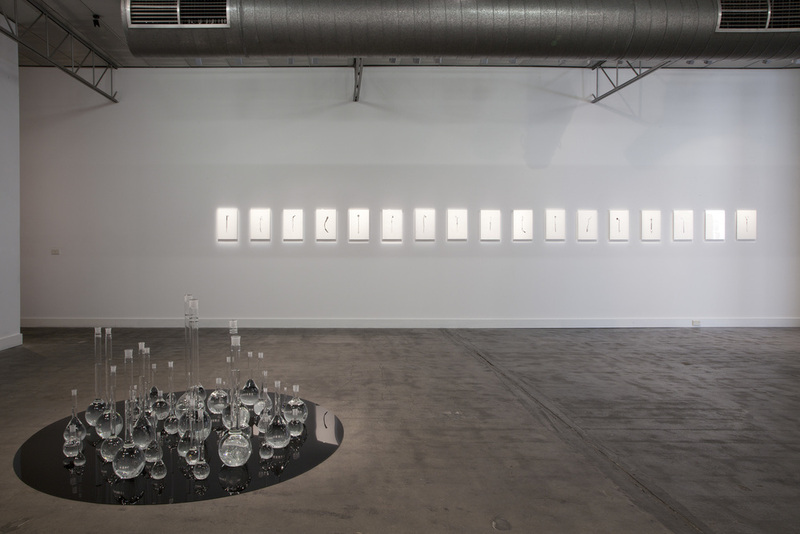 The body of work employs a poetic around the interior and exterior inscription of the female body. 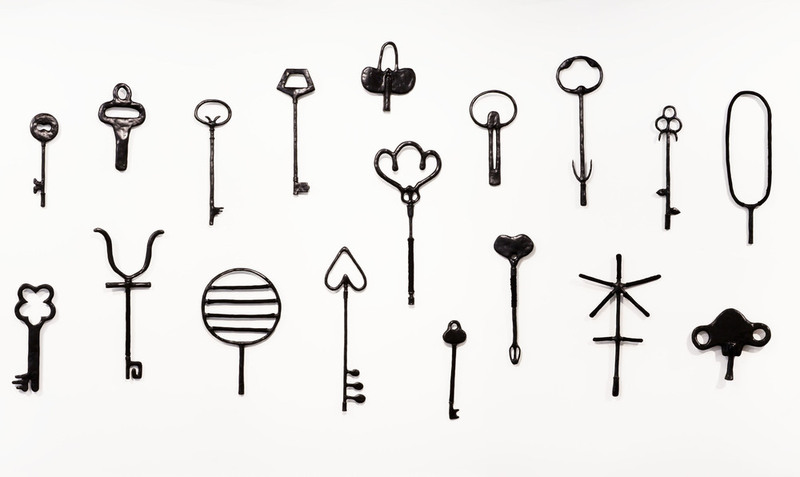 As over-scaled totems with hieroglyphs in their bows, the key symbols double as body-like forms and language signs. 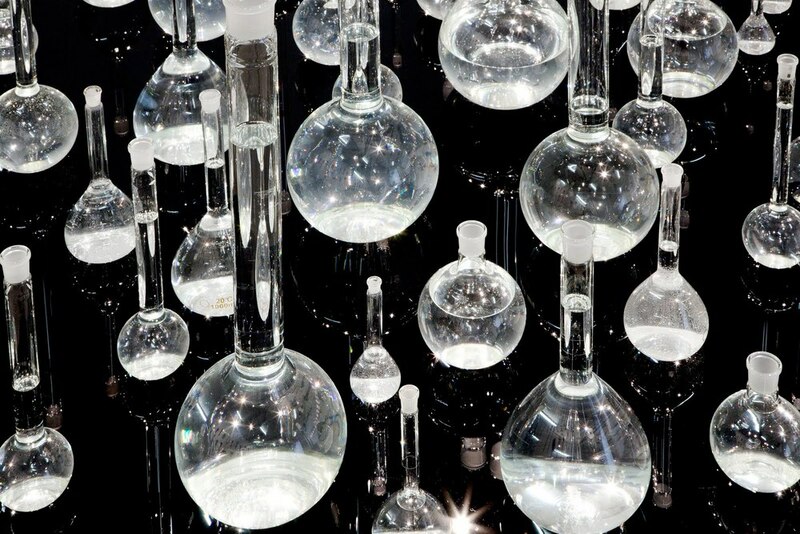 The watery scientific vessels on a black perspex mirror evoke a play with ideas of surface and depth. 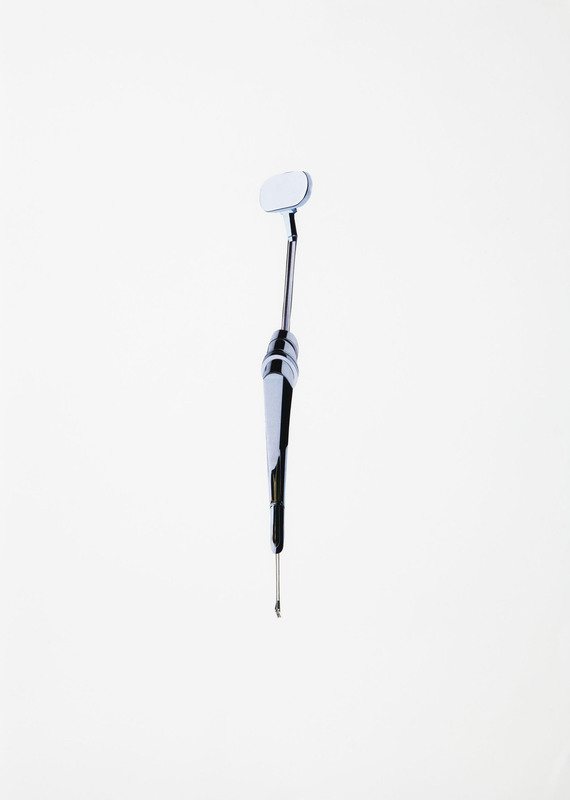 The collages of surgical tools were created from pictures prised from women's magazines including face cream containers, mascara wands, and hairdressing scissors. 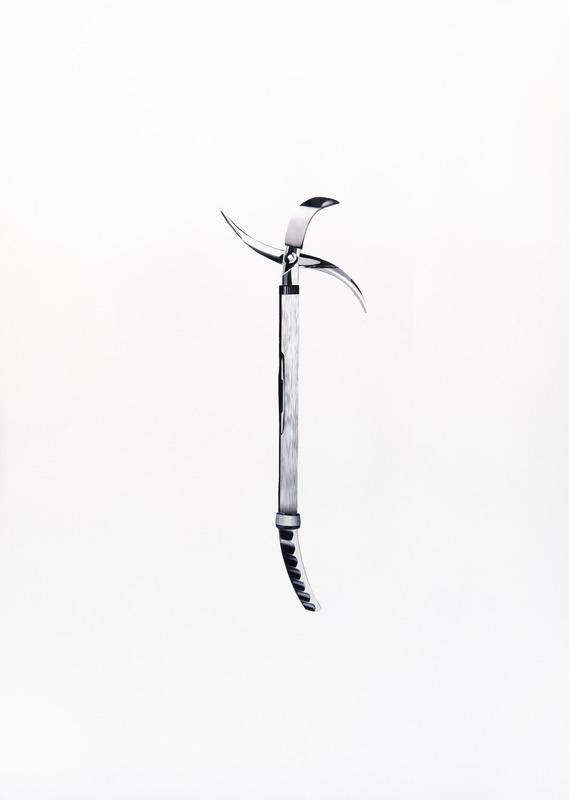 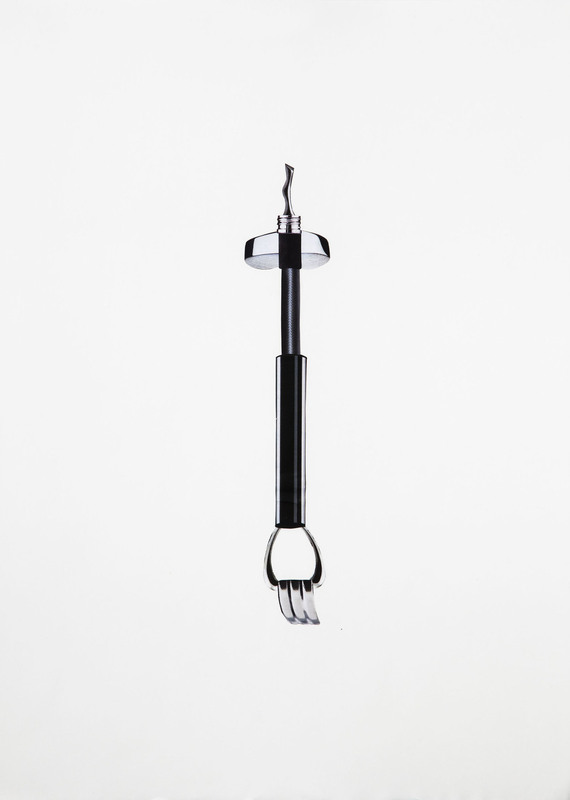 Reassembled into beautiful and menacing tools that can touch, cut or change the body, the implements threaten to probe beyond skin's idealised surface.